Regardless of the parking issue, the buildings are an embarrassing eyesore, and it’s time that something be done to fix that. The façade on the northern building looks very attractive. Both buildings would look nice restored. 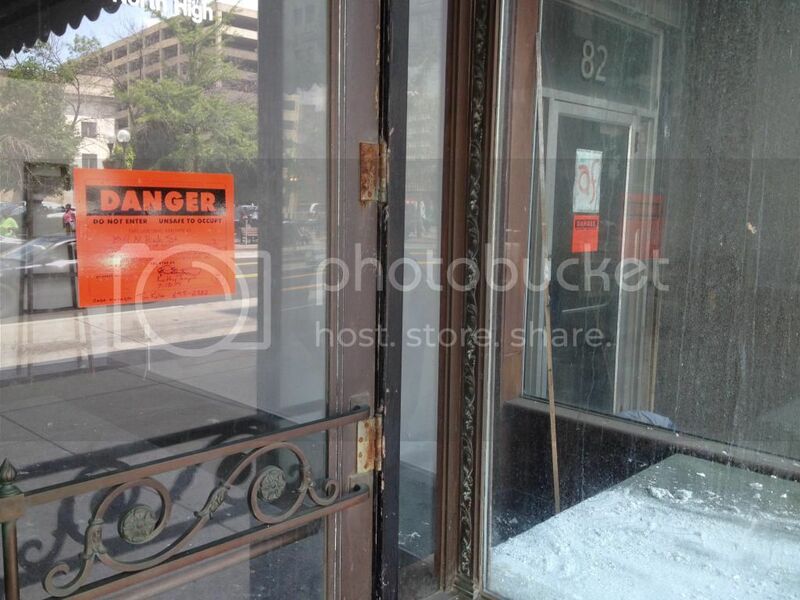 “This is one of the two worst properties in downtown,” says Ricksecker. Just curious, anyone know the other worst property Cleve refers to here? COLUMBUS, Ohio – Overgrown weeds. Tumbling bricks. Neighbors of a southwest Columbus vacant building want it gone. 10TV took their concerns to the city and tomorrow, they’ll see action. Bobbie Root had no title in the article, so I assume he was just a man-on-the-street interview? I’ve never understood the point of asking random passersby how they feel about something that they know absolutely nothing about. Awful, just to get the quote they want. The city needs to figure out a way to make it more expensive for the owner to sit on the building in the current condition. If the buildings pose a safety hazard, can’t the city use eminent domain to take them? The ironic thing is that the better the rest of downtown starts to look from all the new development, the worse these buildings look by comparison. Columbus has development on the brain and a low tolerance for vacant buildings, particularly Downtown and particularly on coveted High Street. So it’s no wonder the vacant buildings at 72 North High have become such a topic of interest that 10TV devoted not one but two stories to the buildings and their owners last week. Really, really hope this isn’t the last requirement needed to proceed with a demolition permit. Demolition for a new parking lot would be disastrous. Demolition for a new build, that I would be ok with. Does this allow the city to take control over the property on public safety grounds or anything? I believe it just means the city has revoked their occupancy permit…which, to the deadbeat owner, probably doesn’t mean a whole lot to them, except their property value is pretty much worthless now, and their insurance coverage is probably through the roof. These are really cool historic buildings and if saved could keep that historic look of the block, however I would settle for anything then parking lots. There are already large surface lots across the street. Being only a block from city center and creating a “dead zone” between the Short North, Capital and the Commons, I believe it in the city’s best interest to do something with these buildings. Lets keep our fingers crossed!